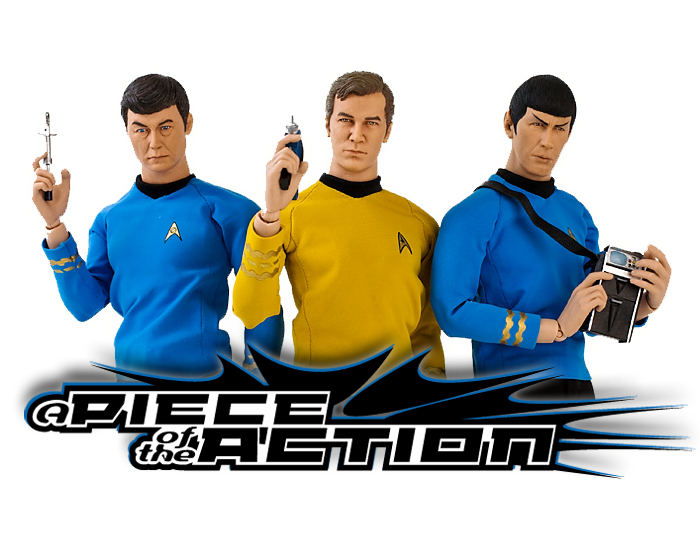 A Piece Of The Action: Sneak Preview- Hollywood Collectible Group 1/6th Scale Mr. Spock Statue! 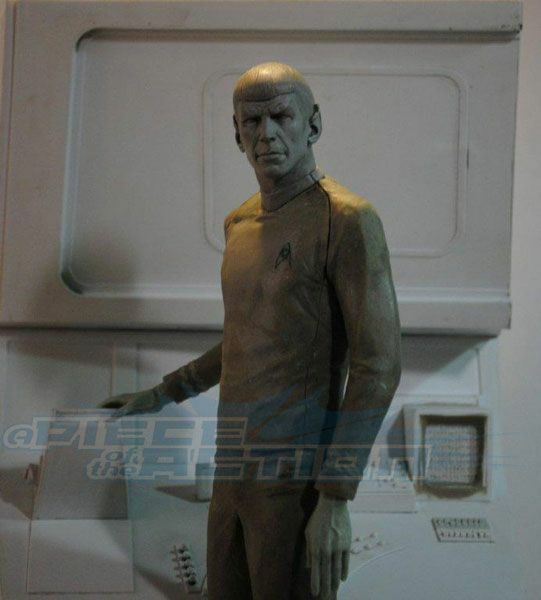 1/6th Scale Mr. Spock Statue! So remember last week when I spotlighted the AWESOME 1/6th Scale Captain Kirk Statue from the Hollywood Collectibles Group? Well, last night I got an e-mail about it from none other than the piece's sculptor, Jim Maddox! 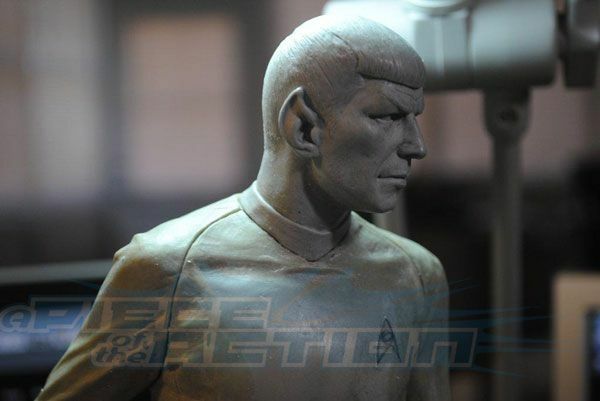 Jim thanked me for the kind review and very graciously sent over these sneak preview pictures of the upcoming Mr. Spock statue... which looks AMAZING! 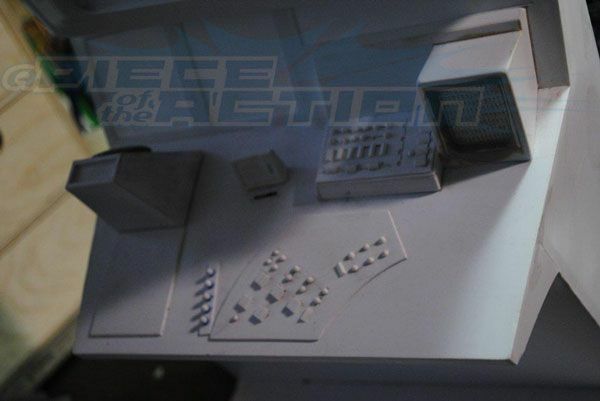 Spock is done in the same 1/6th scale that both the Kirk and the soon-to-be-released Gorn statues are sculpted in, but Spock ups the ante a bit by including- are you ready for this- his SCIENCE STATION! Wowzers! Take a gander at these early first looks, and be sure to check back at the site soon for an exclusive interview with Jim (a lifelong Trekkie) about his work on all the HCG Star Trek releases. A HUGE thanks once again to Jim Maddox for hooking me up with these shots! My jaw just hit the floor--I must have this. I MUST HAVE THIS. While I'm I'm sitting here drooling, James I love your site and all the great closeup pics. 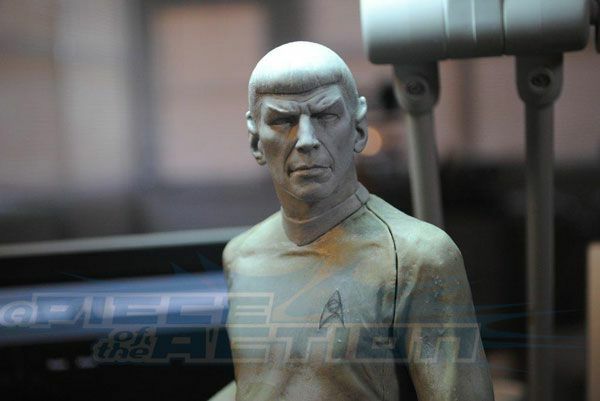 I've been a follower here for awhile, but never felt the need to say anything until I saw this Spock sculpture--I'll be reserving mine as soon as they start. Thanks for posting these great preview pics! Yes, Mr. Spock smacked my gob. That's beautiful work. Hat's off, Mr. Maddox. 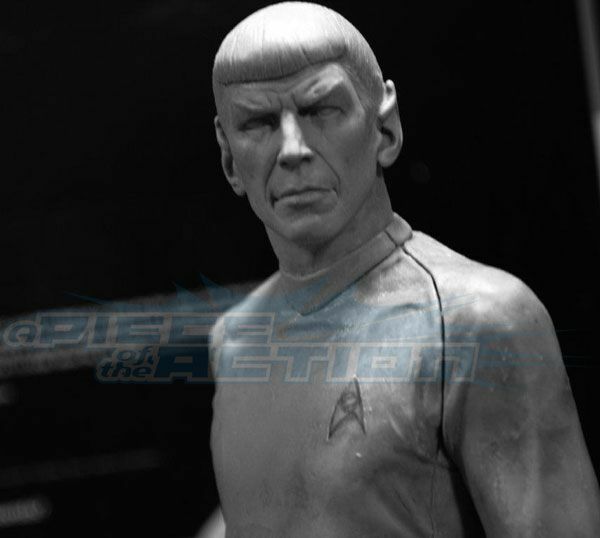 Wow, they really nailed Nimoy's Spock in that sculpt. I am truly impressed. ApacheDug> Thanks man! I really appreciate the kind words! Rocky & Frederick> Yeah, he knocked this one out of the park! Wonderful news, thanks for sharing the pics and news, i have to have this!!!!!! This is really gorgeous! I can't wait for this to come out. The only thing that would make this better was if the panel had lighted buttons and back-lit screen graphics. And also the rotating moire effect on the scanner... and a blue light in the viewer. And bridge sound effects. 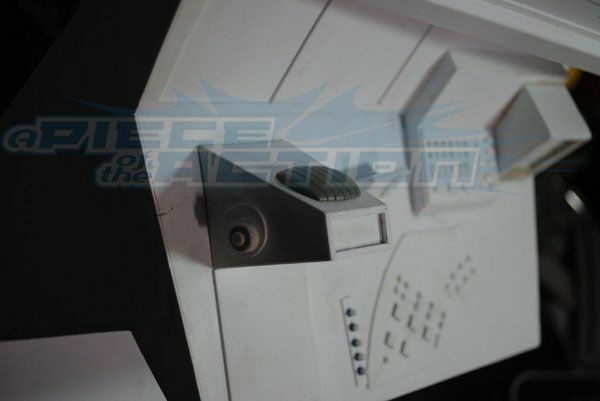 If they make an Uhura with station this close to actuality, I may actually have to buy it! I have a couple of these on pre-order. Simply the best Spock statue ever at any scale! Beta and gamma functions engineering mathematics Engineering Courses Videos are available here.